Tesla Inc (NASDAQ: TSLA)’s second act was far less dramatic than the first. With no name-calling, steady commentary and direct apologies from CEO Elon Musk, Cowen described the earnings call as “more humble [and] conciliatory” and “more civil” than the last one. Jefferies suggested the less confrontational style could invite investors back to the stock. It certainly helped win Oppenheimer, which upgraded the stock to Outperform. Barclays had this takeaway: “This lack of drama proved to be a good distraction from the actual soft quarter and allowed little time to probe the guide for Q3 profit and cash flow." On the plus side, Tesla’s cash flow and balance sheet demonstrated unexpected strength, with gross margins and revenue exceeding Street forecasts. Its $130 million in operating cash burn was far better than Morgan Stanley’s $543-million estimate, and Cowen expects that achievement to help drive positive stock performance in the near term. Improvements to auto gross margins convinced Bernstein of a “plausible path” to achieving second-half financial targets. Vehicle demand growth and cash consumption also surpassed Morgan Stanley expectations, but the sustainability of Tesla's cash situation — contingent upon working capital arrangements with suppliers and securitization actions — remains in question, in the sell-side firm's view. At the same time, Tesla fell short of analysts’ bottom-line forecasts and reported a higher-than-expected operating loss. Operating expenses surged 36 percent year-over-year to peak estimates, and total burn of $739.5 million brought Tesla to an all-time high net debt of $9.5 billion, or negative $54.31 per share. Nonetheless, Bank of America expects that cash burn’s improvement from the first quarter to be read positively by investors as a signal of impending inflection. Morgan Stanley said guidance for third-quarter and 2018 unit volumes arrived “significantly stronger” than predicted. The quarterly Model 3 production target range of 50,000 to 55,000 suggests volume 60 percent higher than the analysts’ 33,600 estimate. KeyBanc noted that Model 3 production is already ramping faster than the Street forecast, and order trends appear to have inflected over the last few weeks. But Cowen reflected on Tesla's auto aims with greater cynicism. It suspects logistics are becoming a challenge as inventory increases, and demand for the Model 3 could wane and cancellations increase after tax credits are exhausted. Along those lines, KeyBanc predicted Musk will fail to deliver on 2020 output promises. “We take the CEO’s hedge on selling 1 million cars in 2020 as a likely indicator that volumes could end up significantly below that, as reflected in our estimates,” KeyBanc said. Musk lowered his projection from 1 million cars to between 750,000 and 1 million, which Loup Ventures read negatively. Barclays expects ZEV credit sales, payables extension and an improved mix to push third-quarter goals but is prepared for deliveries and margin improvement to fall below guidance. Product demand remains a concern for Jefferies, particularly as vehicles age and launches of more affordable models are delayed, but Loup Ventures anticipated increased demand as test drives increase. Tesla eliminated guidance for a 25-percent Model 3 gross profit margin and instead forecast 15 percent in the third quarter and 20 percent in the fourth. Cowen expects ongoing pressure on the auto margins. Nonetheless, Oppenheimer expects Model 3 gross margins to carry Tesla’s stock over and beyond the next year. It posits the potential for Model 3 ASPs to strike elevated levels similar to those of the Model S and X. The firm's analysts suggested delivery of just 40,000 Model 3s in the third quarter — well short of Tesla’s targets — would drive $360 million in gross profits for the vehicle and lead to positive EBITDA. Tesla reiterated third-quarter targets for positive cash flow and GAAP profitability, with no need for a capital raise. Such an achievement would be a major turning point. Bernstein sees a path to achieve positive FCF and profitability if Model 3 gross margins improve 600 basis points, management limits operating expenses, the cash conversion cycle improves by 10 days and Tesla cuts its capex guidance another $500 million. Jefferies similarly sees opportunity for positive FCF but said a capital raise necessary. “Assuming the $579-million increase in finished inventory gets delivered in Q3, production rates stabilize and delivery schedules follow ... working capital should turn into an inflow in Q3,” Jefferies said. 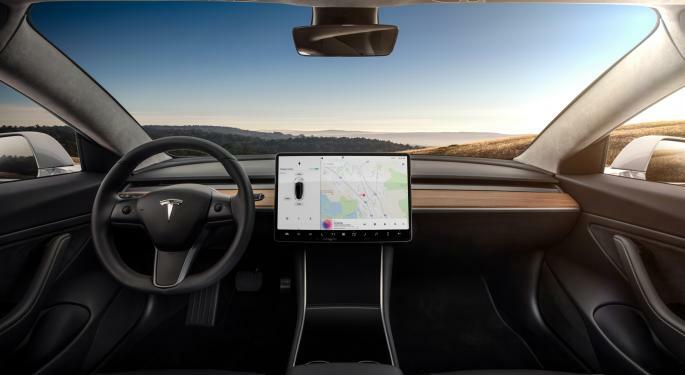 Bank of America remains skeptical of optimistic forecasts, and Cowen questioned why Tesla’s reiterated aims should now appear any more feasible following missteps. Cowen’s analysis suggests Tesla can’t achieve GAAP profitability in the next two quarters without “a substantial level” of tax credit sales, particularly amid unfavorable forex headwinds and higher tariffs on Chinese components. Cowen analysts see ongoing challenges in Tesla's liquidity profile and working capital controls, particularly as current accounts payable more than twice outweigh a $1.3-billion cash and cash equivalent balance excluding deposits. The strategy to generate free cash is also in question. “The statement that they expect to generate positive cash ‘including operating cash inflows and capital expenditures, as well as the normal inflow of cash received from non-recourse financing activities on leased vehicles and solar products’ leaves a rather large range of outcomes for how free cash is actually created,” Morgan Stanley wrote. Barclays concurred. Tesla's timeline to strike gross margin targets is viewed as similarly out of reach by the sell-side. “Given the current Model 3 ASP is likely 40-50 percent higher than the eventual average, we’re skeptical of management’s gross margin target in three quarters given where pricing could go later on in 2019,” KeyBanc said. Notably, with gross margins uncertain, Jefferies is concerned Tesla’s high vertical integration may have trouble driving positive returns. While Barclays is as skeptical as peers are of Tesla’s profitability prospects, it considers the firm on track to post 100-percent year-over-year revenue growth. “So while we don’t have near-term hopes of seeing our $210 price target, Tesla’s new ‘boring’ approach to stabilizing growth even as they are not ‘rolling in money’ makes our long-term valuation more realistic,” its analysts said. 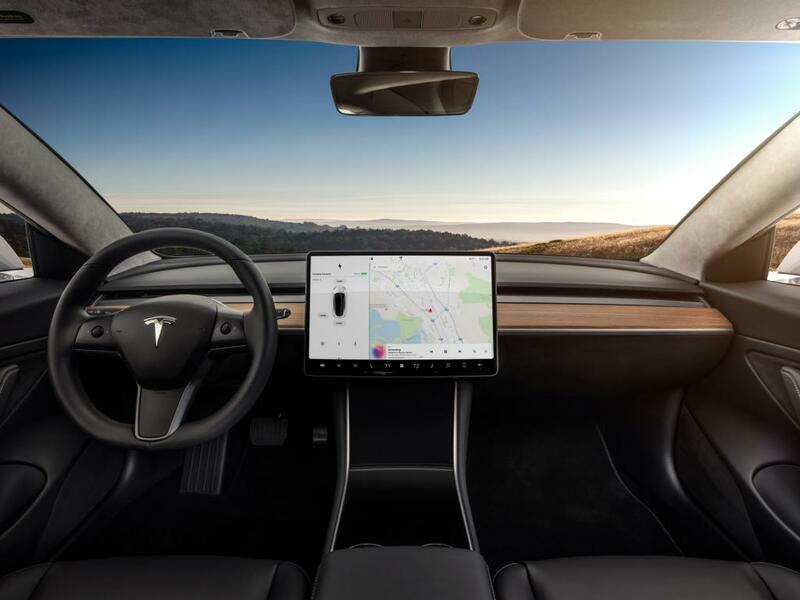 Morgan Stanley considers the capital markets open to continue providing funds, and Loup Ventures interpreted Tesla's Shanghai factory debt financing as indicative of investor support. KeyBanc was particularly encouraged by Musk’s apologies for his recent behavior, which has reflected on the Tesla story. “TSLA’s forward commentary was mostly better than feared ... and the CEO worked to restore some faith and credibility with investors that he can be a plus to the investment narrative, not a minus,” KeyBanc said. KeyBanc said its longer-term views on Tesla are unchanged, with more bullish near-term leanings but longer-term ambivalence. The firm maintained a Sector Weight rating on Tesla with a $300 price target and "significantly" raised 2018 and 2019 revenue estimates while predicting higher losses per share. Bank of America Merrill Lynch maintained an Underperform rating and $200 price target while decreasing bottom-line estimates for 2018 and 2019. Oppenheimer upgraded the stock to Outperform with a $385 price target.